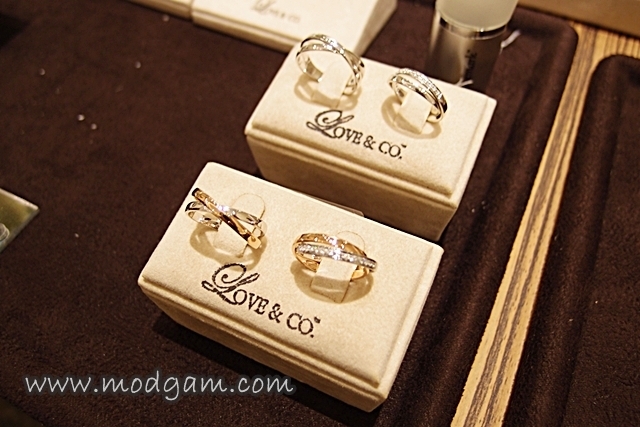 Love & Co. is a premier jeweller with international standing that heralds a unique brand concept. 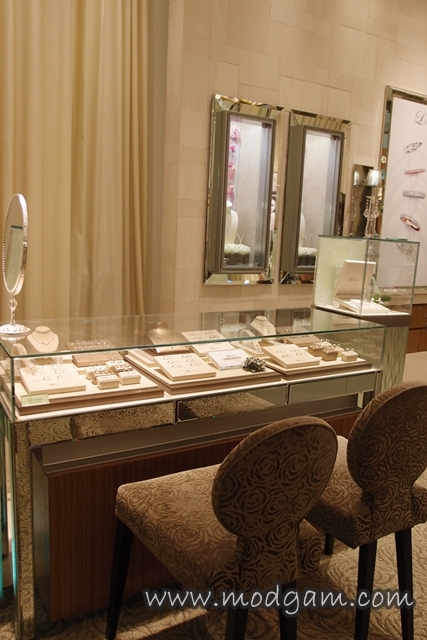 Conceptualised as a specialist in couple bands, diamond solitaires and love jewellery, Love & Co. brings the romantic experience of love to the modern jewellery store and creates an ultimate retail concept that culminates the promise of love and romance. 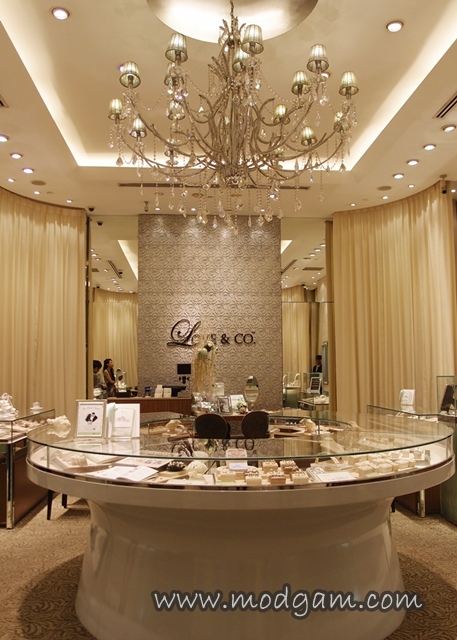 Love & Co.’s sterling reputation as the ultimate specialist in wedding jewellery is further affirmed with the expansion of the company into Malaysia after it was met with resounding success in Singapore. 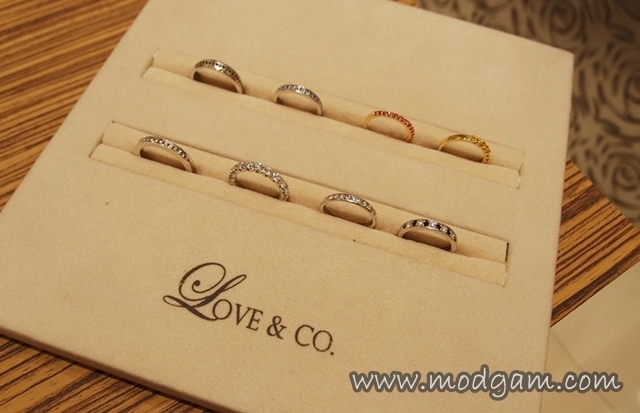 Targeting the high end jewellery market, Love & Co. has established itself as a successful brand known for its outstanding and unsurpassable range of couple bands and engagement rings. 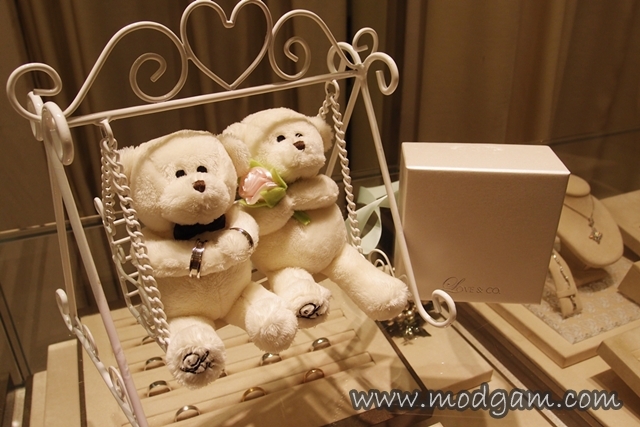 Following closely to its philosophy of accompanying couples through their journey of love, Love & Co. reflects the way it treats its customers with absolute sincerity and dedication. Its absolute insistence upon excellent service and quality of jewellery has earned Love & Co undeniable prominence in the jewellery market. 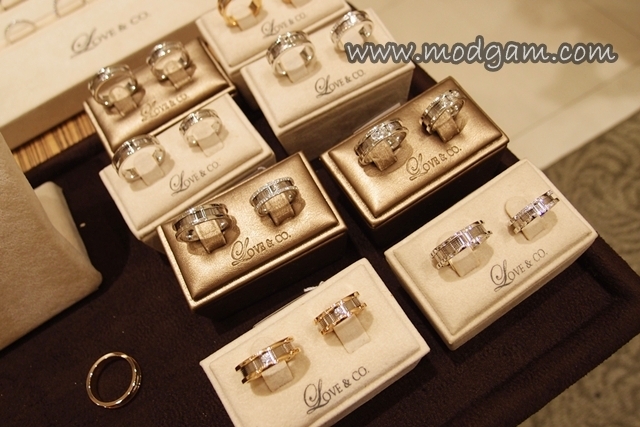 Love & Co. now has 7 showrooms across Singapore and Malaysia. 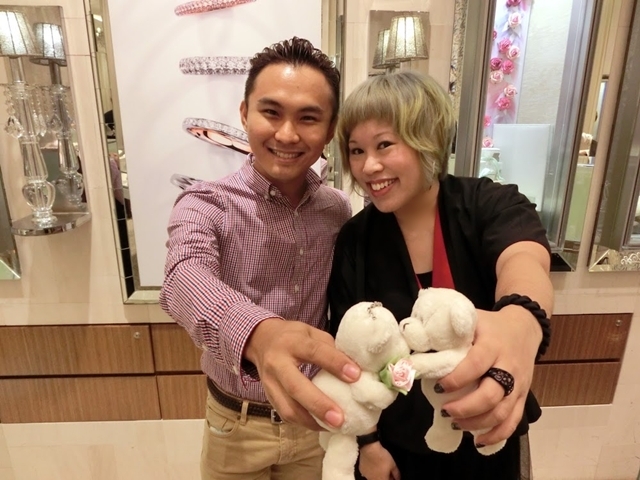 I was invited to visit Love & Co.’s outlet at Raffles City and was soaking in all the gorgeous sparkling wedding jewellery. Love is in the air indeed. I was the tomboyish girl and am never a fan of the diamond till I met D and suddenly, diamonds became my best friends! Haha I guess because diamond symbolises everlasting love and wearing a diamond ring symbolises the love your other half have for you. I love chunky rings and am so thrilled to see so many unique chunky designs for couples. I was so excited meeting all my new sparkling “friends” that I forgotten to snap pictures of me trying them! 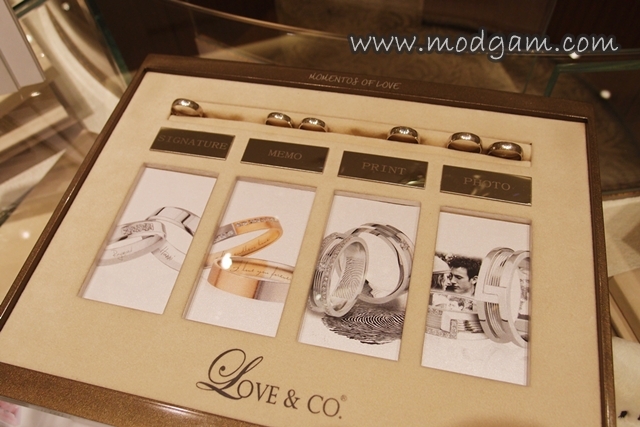 More than a love band, the LVC Promise collection is a vision of beauty and immaculate artistry. Bearing in mind the importance of a strong foundation and constancy in a relationship, the LVC Promise found inspiration in a most unexpected pair of item – the bolt and nut. The never ending steadfast action of a bolt and nut working together to form a most solid and everlasting integration is reminiscent of how true love and marriage should be. Based on this concept, Love & Co. has elegantly woven in the enduring element of bolts and nuts with the delicacy of true love in the LVC Promise collection. 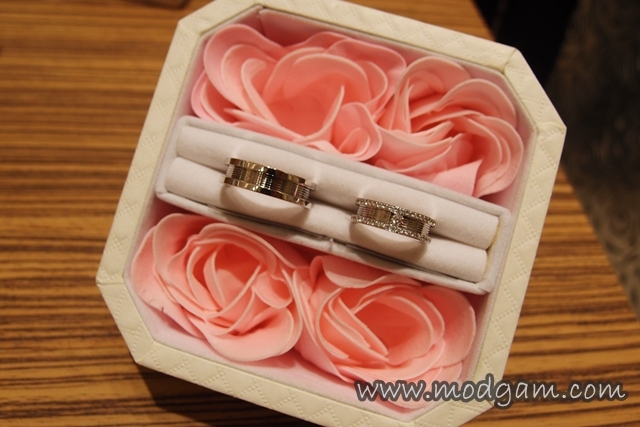 Don’t you just love the beautiful jewel box that comes with the rings? Embellished extravagantly with diamonds of the most remarkable quality, every band in the LVC Eterno collection is a masterpiece on its own, exuding sophistication and illuminating the grace and goodness of a love that has been well cultivated. Striking in its essence with paved diamonds trailing the white and rose gold bands, the entire collection is a resplendent sight to behold. Reflecting the most beautiful years of life and romance spent together, celebrate and bask in your most treasured times with the LVC Eterno collection. 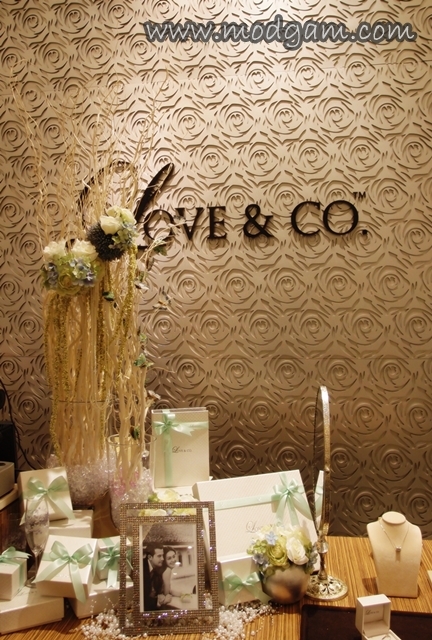 Love & Co. celebrates this mesmerising declaration of love, with an explosion of colours this Autumn. Crafted with the beauty of eternal commitment, the latest range of LVC Eterno couple bands is a momentous display of rarity and magnificence. 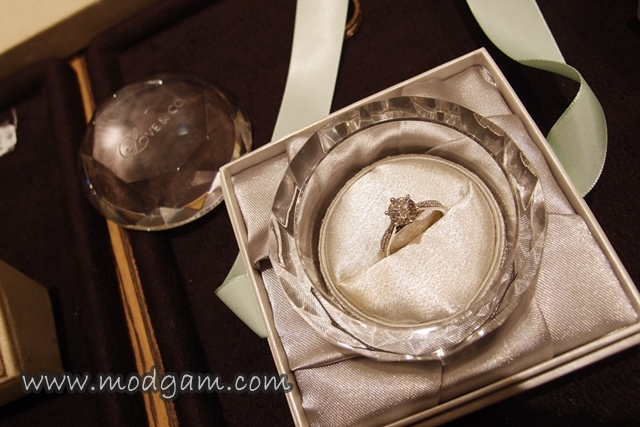 I am in love with not only this gorgeous crystal box but also the very gorgeous LVC Lovemark diamond ring! I DO I DO, I VERY VERY DO! 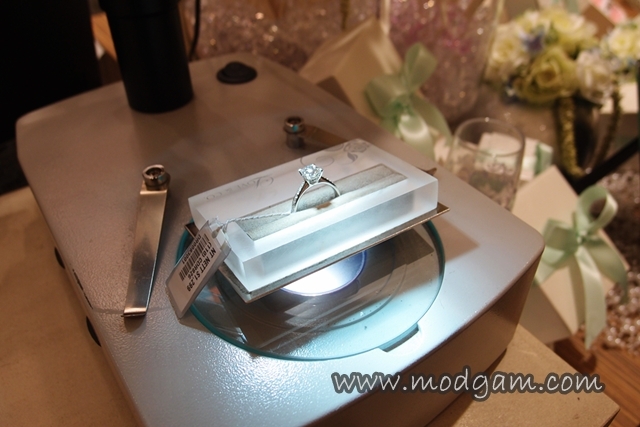 Well, who would say no to such a gorgeous ring in such a sparkly glamorous crystal box? 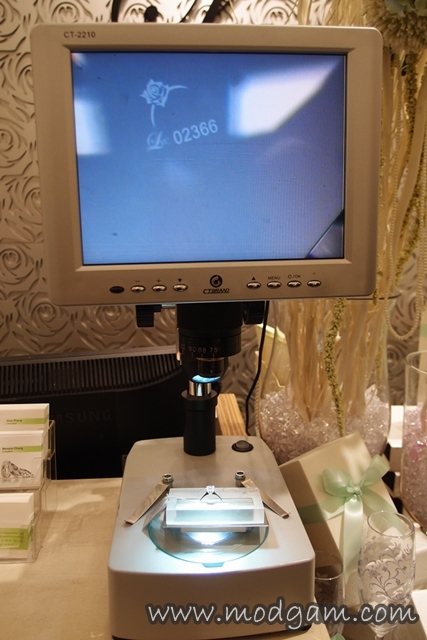 The exclusive LVC Lovemark and unique identification number are inscribed at the heart of every LVC Lovemark diamond. Using highly advanced proprietary tehnology, the inscription is completely invisible to the naked eye, and can only be seen with a special LVC Lovemark viewer. I am in love with this other unique service Love & Co. has; Momentos of Love! 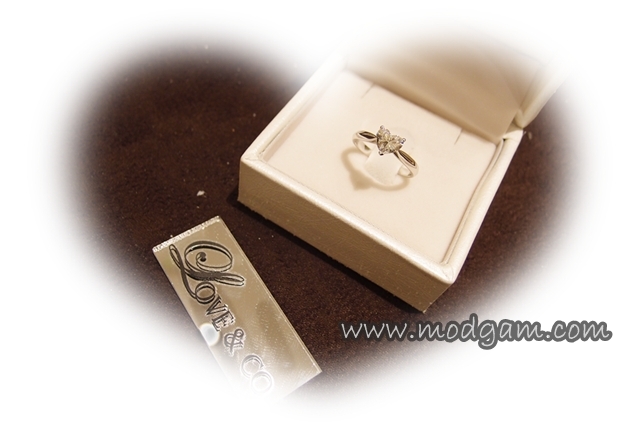 Momentos of Love allows you to imprint your photographs, thumbprint, handwritten signature and/or love messages on your very own wedding bands or solitaire rings! Tell me how cool is this!!! 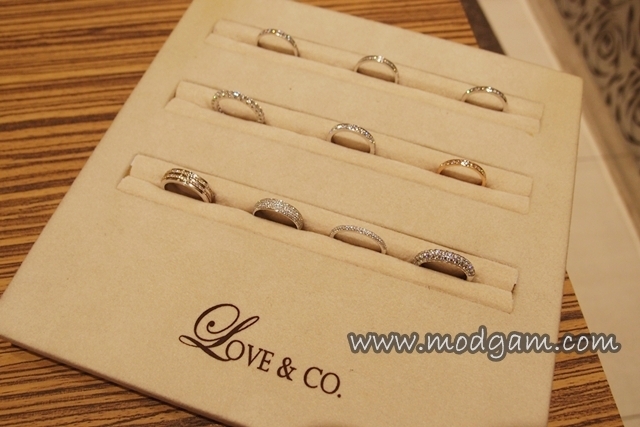 It’s hard not to say I DO when you present your love one with a ring from Love & Co. Make your proposal a special one and celebrate that commitment with a pair of of the finest rings from LVC. 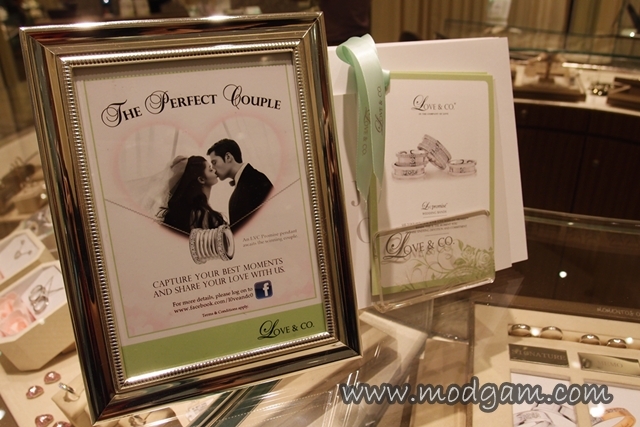 Renew your wedding vows and add that extra Mementos of Love feature with a special message to your special half. We had so much fun we had to end this beautiful day with some fun-loving pictures. Thank you William for sharing these pictures with me. My lovely companions for the day: William, Shannon aka Mr Style King and Zerika. 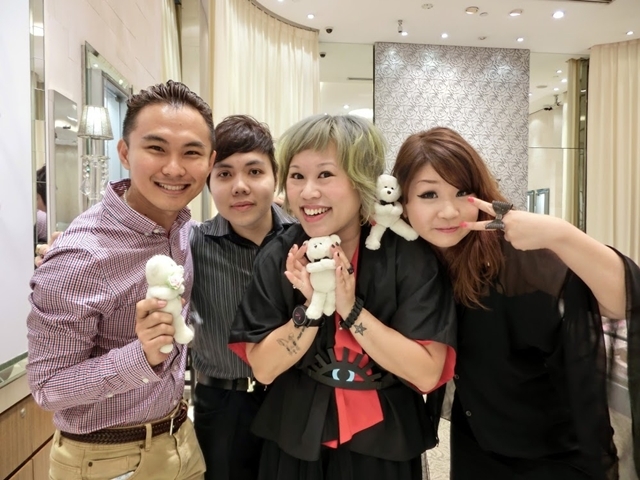 DON HO – Social Kitchen & Bar at Keong Saik! Beirut Grill – authentic ingredients shipped from Lebanon! 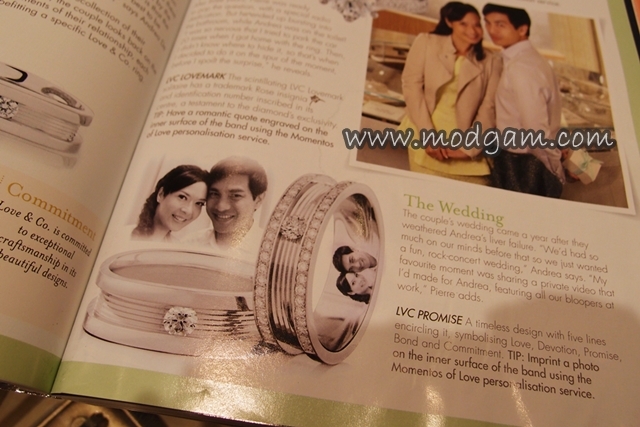 Beautiful jewelry and decor in these photos!